Here’s a St. Patrick’s Day home décor idea to share the Luck of the Irish! 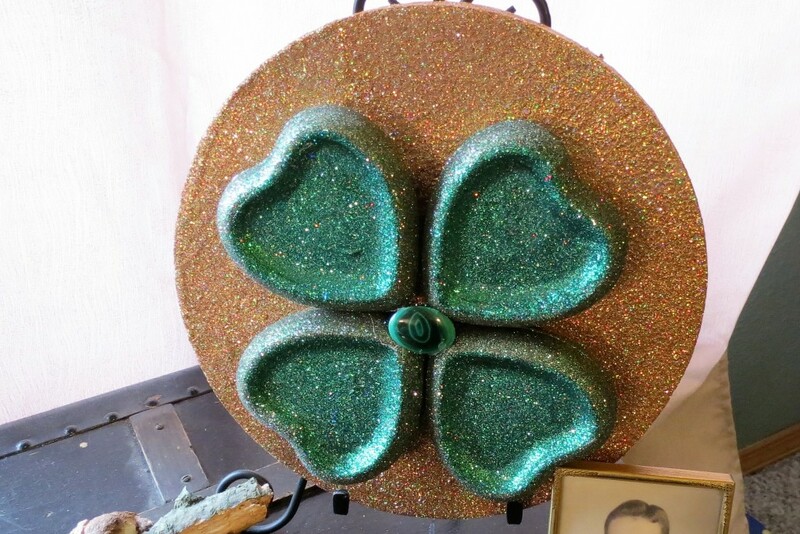 I’m actually from a long line of Murphys, so this shamrock coin craft works for me. And if you’re not Irish, you can join us anyway! 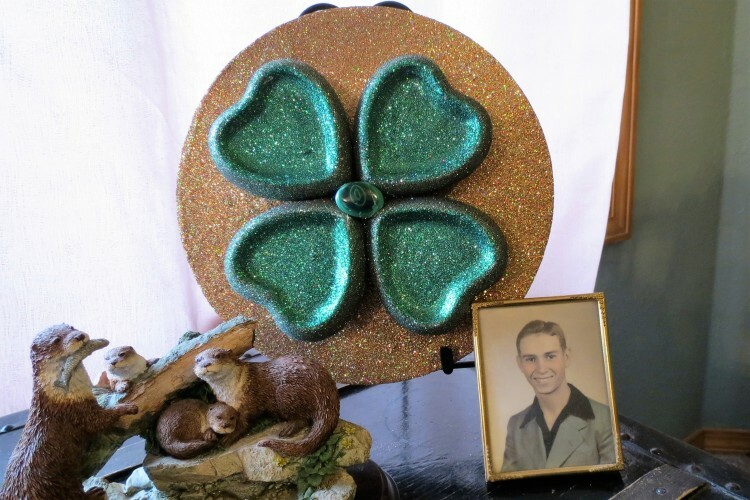 Learn how to make this shamrock wall hanging below. 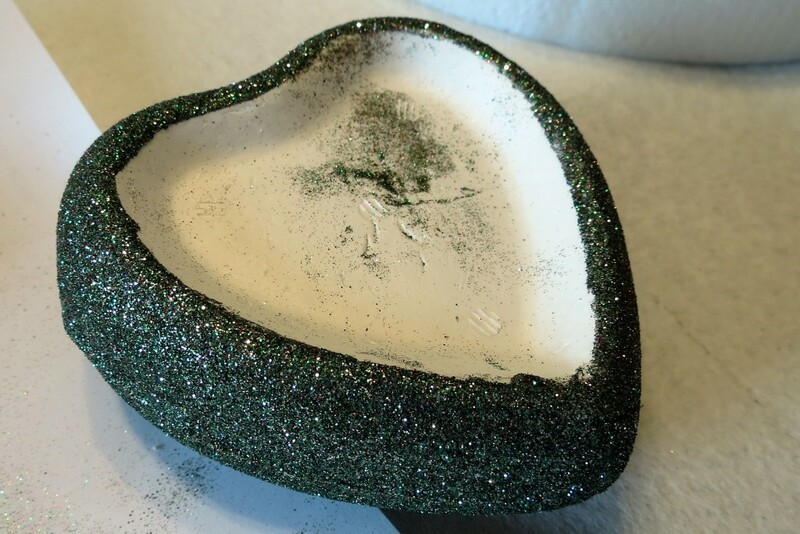 Use a foam brush to apply glue around the edges of each heart and then sprinkled dark green glitter on top. Shake off excess glitter and set aside to dry. 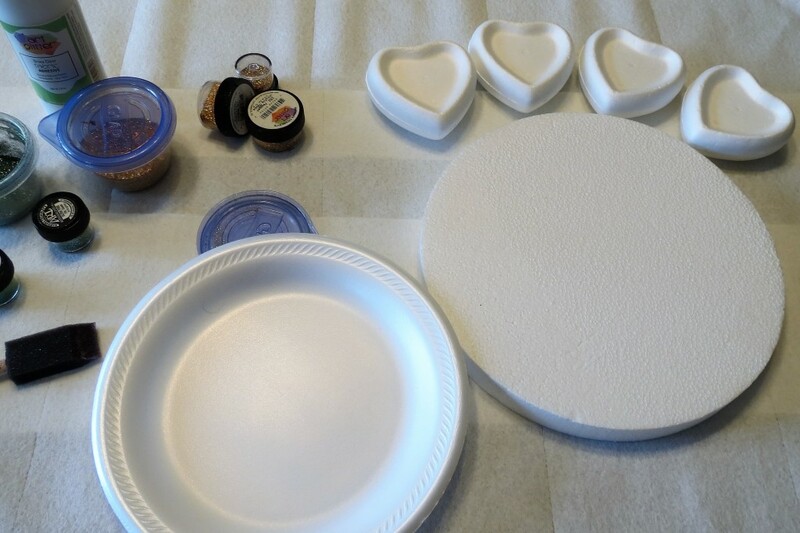 Cover the Smoothfoam disc with glue and sprinkle with gold glitter. Shake off excess glitter and set aside to dry. 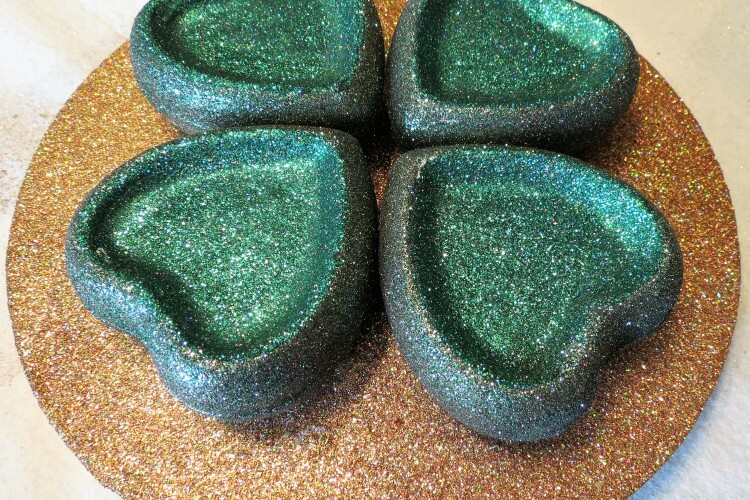 Glue and glitter the centers of each hearts with a brighter Emerald Green and let them dry. Adhere each heart to the gold coin with hot glue as shown. Glue a “lucky green stone” in the center. This entry was posted in General Crafts, Holiday Crafts, Home Décor Crafts and tagged Disc, Green, Heart, St. Patrick's Day, Wallhanging by Kristi Parker Van Doren. Bookmark the permalink.